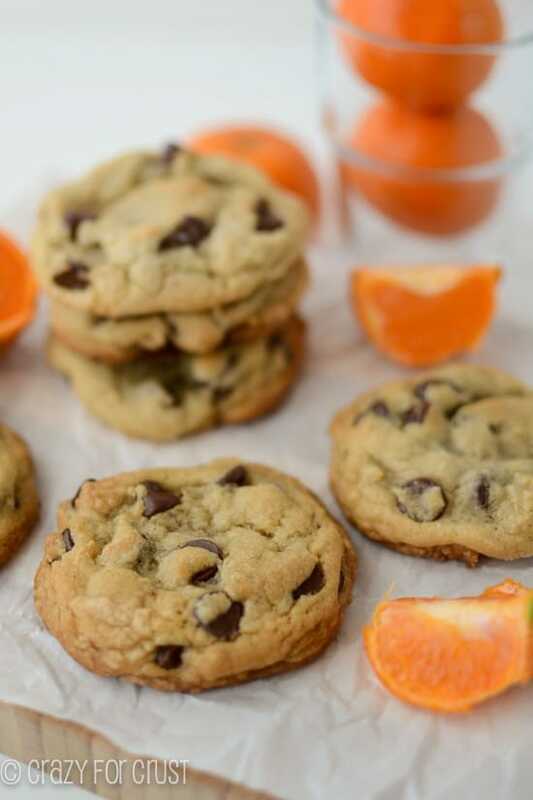 These Chocolate Chip Orange Cooies are soft and rich – the perfect chocolate chip cookies with a hint of orange! It is so hard for me to make “regular” desserts. You know, the basics: vanilla cupcakes. Chocolate cupcakes. Plain cheesecake. Chocolate chip cookies. I feel like they’ve all been done so. many. times. Why add just another recipe? But sometimes I get asked for a regular old cheesecake. Or a plain chocolate chip cookie. And I feel like I have to oblige a request, right? I figure, I’ll just skip photographing and posting. But then the recipe turns out so pretty. And YUMMY. And I want to share it. 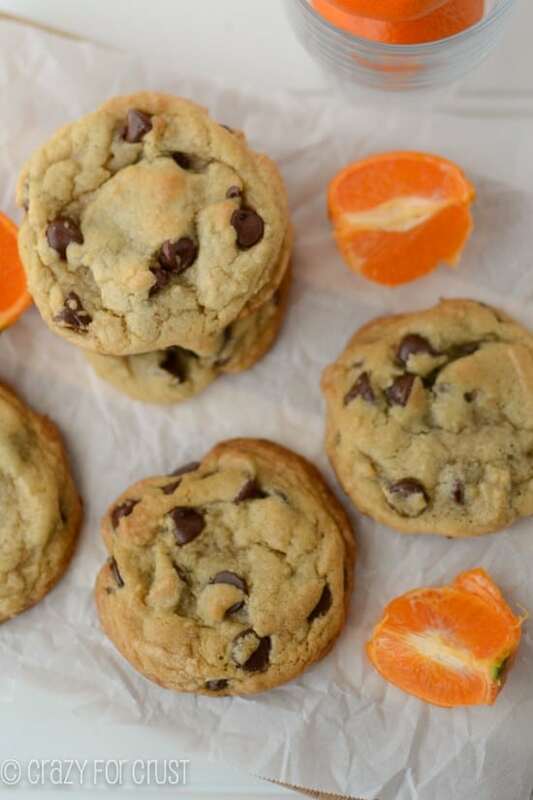 Like these Chocolate Chip Orange Cookies. Aren’t they gorgeous? 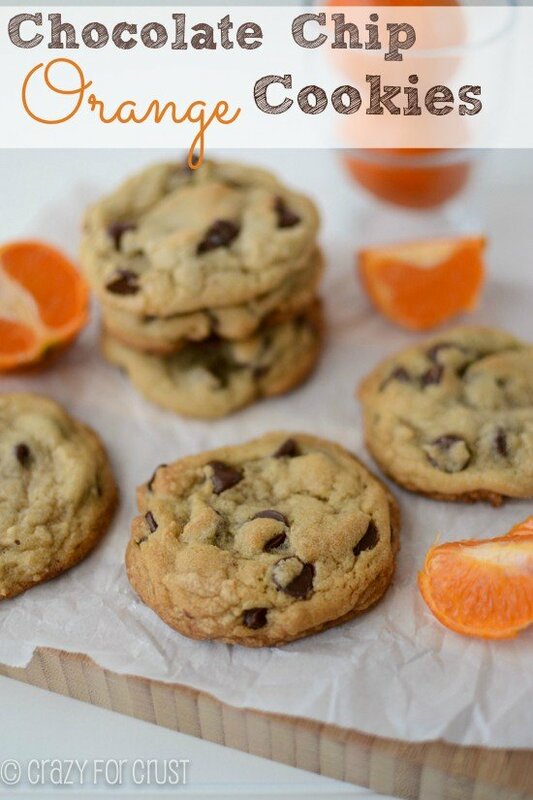 And they are SO good – they are my favorite chocolate chip cookie recipe. Want the recipe? Head on over to Chef-in-Training. I’m guest posting for my amazing friend Nikki today. Trust me, you don’t want to miss this recipe!